Will Young Voters Come of Age in 2018? It may be now or never young people. If another round of elections goes by with many of you standing on the sidelines, it may be too late to turn this ship around. Too many of you sat out while Donald Trump gave you 30 years of Neil Gorsuch on the Supreme Court. Republicans are stacking the federal courts with young and imminently unqualified ideological judges who will be with you throughout the remainder of your lives. If you fail to show up for the 2018 and 2020 elections and Republicans maintain their control of Congress and state legislatures, they will control the census and redistricting and push gerrymandering to new levels and this Justice Department will give them a free hand. The Trump administration is already hard at work undermining the 2020 census. If you’re not yet convinced that the Grand Old Party works exclusively for the interests of the wealthy and corporations, then you have not been paying attention. The Center for Budget and Policy Priorities’ (CBPP) analysis of the bipartisan Joint Committee on Taxation’s report on the Tax Cuts and Jobs Act found the wealthy and corporations are by far the biggest beneficiaries. The new tax law does little to help families with children. Barring extraordinary economic growth, these tax cuts will add at least a trillion dollars to an already bloated deficit. Who do you think will be paying for these deficits? That’s right young people—you. Before the ink was dry on the tax legislation, Republicans were planning their assault on social welfare spending. The legislation’s repeal of the individual mandate in the Affordable Care Act could cause millions to lose their insurance because of skyrocketing premiums. The White House is poised to release guidelines for work requirements for Medicaid recipients although many are working, and a significant number are disabled. This entire blog could be dedicated to identifying harmful policies that include rescinding work and safety regulations, expanding off-shore drilling, dismantling the Consumer Protection Board, attacking public education, and neglecting climate change. Granted Democrats could do a better job describing their policy agenda, however with no counterbalance, Republicans will continue taking the country down this disastrous path. What will it take to get young voters educated and engaged in the electoral process? If young people could vote using their smartphones, their participation would increase exponentially. Until such time, technology is being developed that could raise awareness. A small enterprise called ThinkVoting has developed The Voting App that consolidates fragmented information for voters. Germany has been using a similar Wahl-O-Mat app since 2000 and credits it with increasing voter participation. There is evidence that preregistration—allowing young people to register before their 18th birthday—increases their rates of participation. Voter participation has declined among all age groups since the 1960s and young voters have always been the least likely to cast their ballots. More than 44.3 percent of 18 to 24-year-olds voted in 2008 for Senator Barack Obama, but that number dropped to 38 percent during his reelection. An exit poll found slightly more 18 to 29-year-olds voted in 2016—of those 55 percent chose Hillary Clinton and 37 percent supported Trump. Many chose a third-party candidate or picked no one in the presidential column. Democrats held a 37 to 27 percent edge in party identification among 18 to 29-year-old voters in 2016, but that was down from 45 percent in 2008. Most defectors declared as independents. 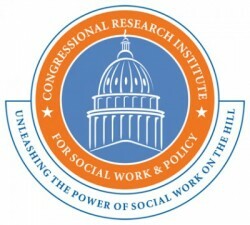 Many social workers are engaged in voter engagement, education and mobilization efforts including a national campaign led by Hunter College professor Dr. Terry Mizrahi and Nancy Humphrey’s Institute for Political Social Work director Tanya Rhodes Smith and a host of social work faculty and students, building on the VotingIsSocialWork initiative launched a year ago. CRISP will be holding its second Political Boot Camp and Media Training in July. The good news is that several polls found that young voters are averse to Trump administration policies and an overwhelming majority would like to see Democrats in control of Congress. That is all well and good but if young people do not go to the polls, Republicans are likely to remain in the majority and continue their efforts to dismantle the nation’s safety nets. Young social workers have the skills and knowledge to be the catalysts that might light a fire among young Americans. There is a growing cadre of social workers opting to pursue elected office. The future is yours to shape young people. Now is the time. Will Young Voters Come of Age in 2018? was originally published @ Charles Lewis – Congressional Research Institute for Social Work and Policy and has been syndicated with permission.